Jurgen Klopp is apparently keen to investigate other options after his £7 million bid for Leicester’s Ben Chilwell was rejected. 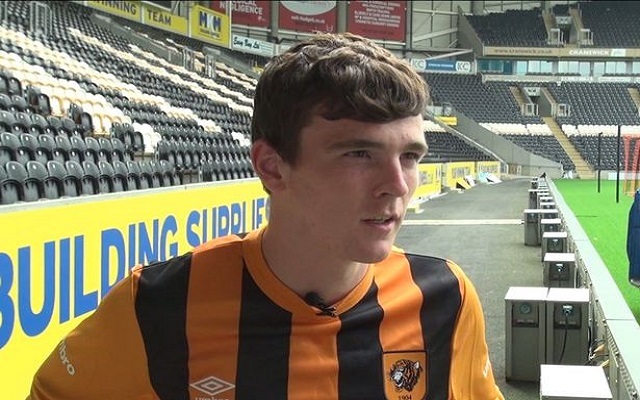 According to Chris Bascombe in the Daily Telegraph, attention will now turn to Hull City’s Scottish international, Andy Robertson. 22-year-old Robertson learned his trade playing for Queen’s Park and Dundee United north of the border. He moved to Hull for £3 million in the summer of 2014 and won the club’s ‘Player of the Month’ award in his first full season at the club. He has gone on to make 66 league appearances in two years, scoring two goals. During his time at Hull he has become a Scottish national team regular. He made his debut in March 2014 and has since won ten caps for Gordon Strachan’s side. Strachan was glowing in his praise after his first game. “Andy came on there and the first time he picked it up he drove about 30 yards. I thought ‘that’s fantastic’. Absolutely no grey area, I’m going to do what I do. I loved seeing that first touch,” he said (via Guardian). It is not clear how much money we’d need to pay for his services.